Brand New Turnkey Sandwich Franchise Downtown Seattle Royalties only 3%! 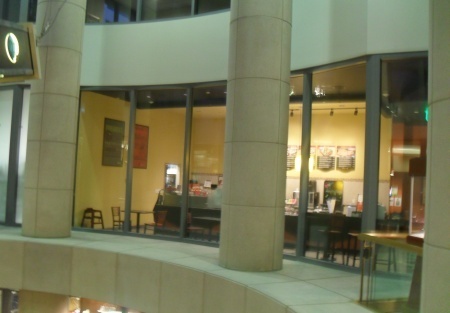 This is an exceptional "Brand New" turnkey sandwich cafe in the heart of downtown Seattle. The Franchisor has just reduced royalty fees to only 3%, which is an exceptional value and demonstrates the Franchisor intent to support its franchisees to better address the challenges of our current economy. This building is full of national and regional franchise locations that have done the homework for you to validate this exceptional opportunity to serve more than five thousand customers in this downtown office high-rise as well as nearby. The sellers and landlord spent nearly $300,000 in new build to suit construction to offer a quality location for the hundreds of dedicated office and hospitality professionals within. There are two lines of dual sandwich prep stations and two panini ovens. There is tons of dry storage and three large commercial grade stainless steel refrigeration units. Seller recently had children and took advantage of an exceptional once in a lifetime opportunity to earn a full time career position with a world-class organization and must regretfully pass the torch for this exceptional opportunity. The sellers' loss is your gain as this price also include the franchise rights to expand to a total of 3 locations! You can step right in and run this opportunity as your own in less than 2 weeks and seize the opportunity to expand to 2 more franchisee locations already paid for and we can help you find the ideal locations! Please note the revenues only reflect a soft opening start up and are in no way relevant to the potential of this location either carrying the current concept forward or changing to one of your own. As a bonus, the lease rate includes two parking spaces in this prime retail core building that usually run $300 per month as well as access to the fitness center within the building.